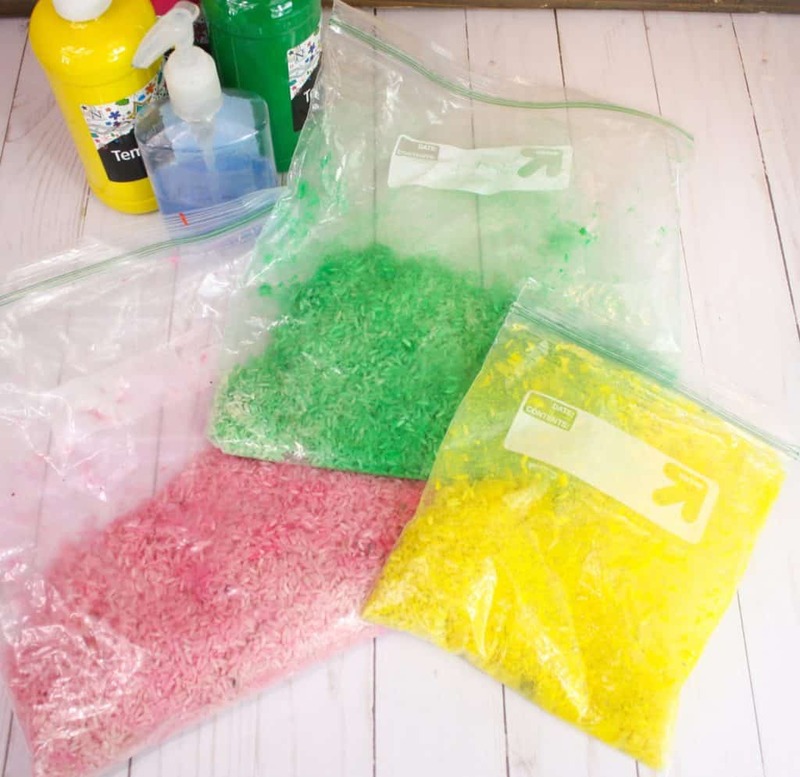 One of our favorite ways to celebrate the holidays is by making a themed sensory bin! 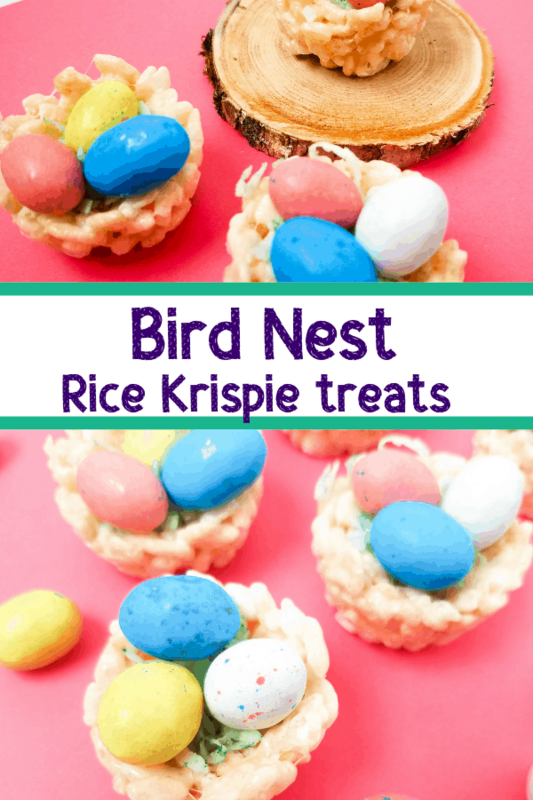 This Easter sensory bin is such a fun one, with colored rice, easter grass, plastic eggs, little bunnies and chicks and a silicone egg mold, my kids are keeping very busy! 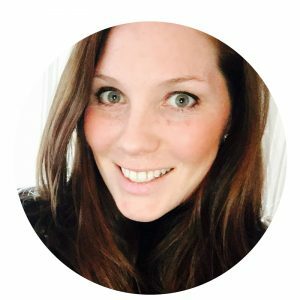 Tip: I like to stock up on items after the holidays so I can get them at a discount! 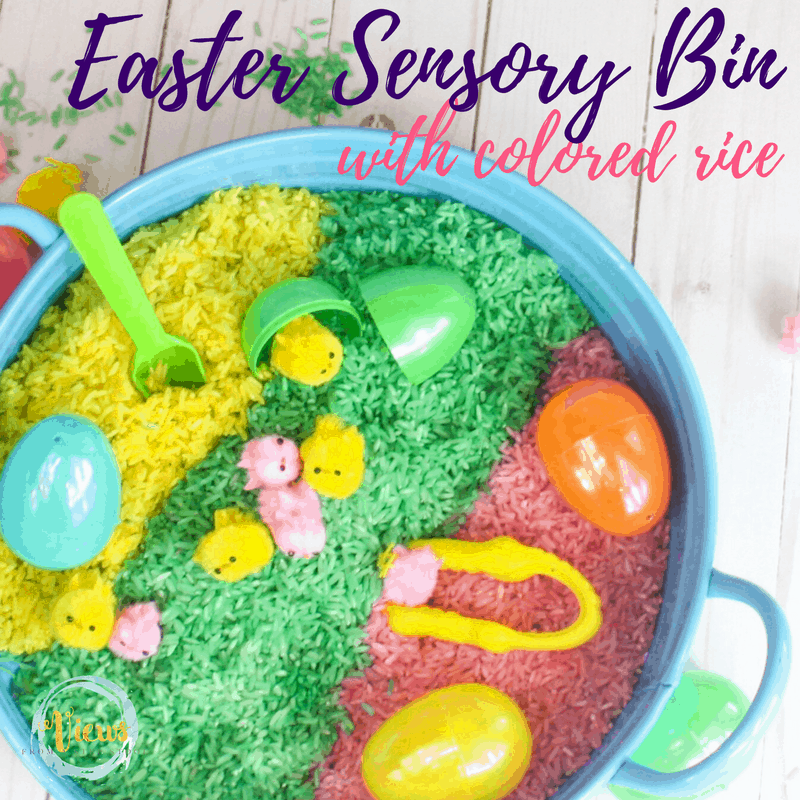 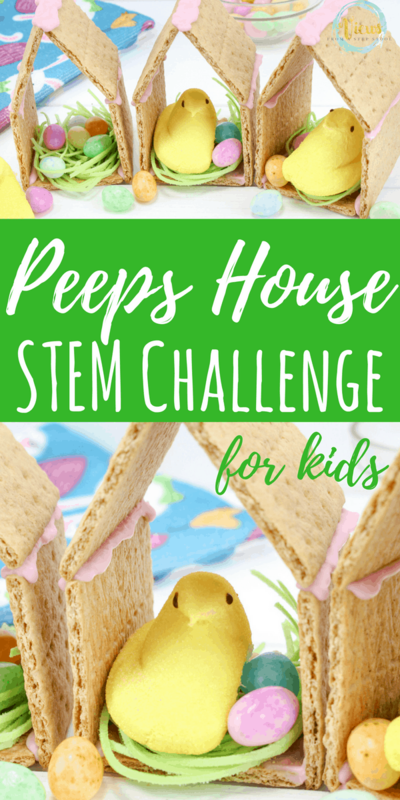 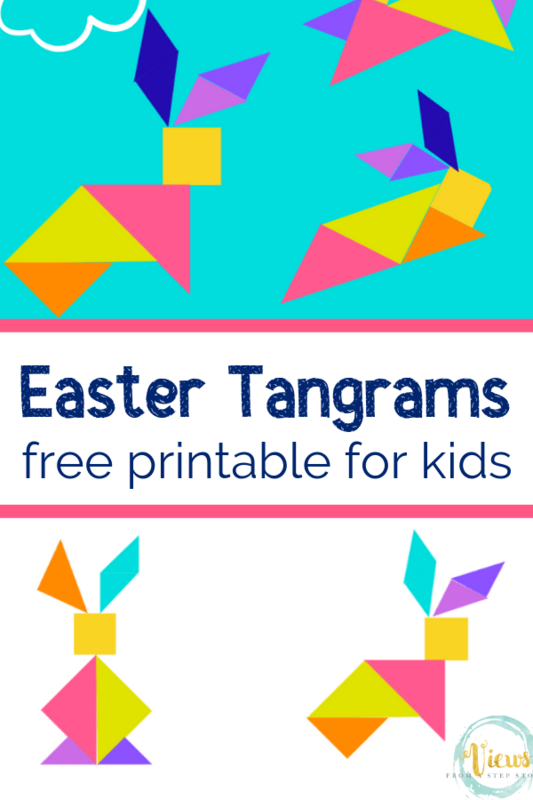 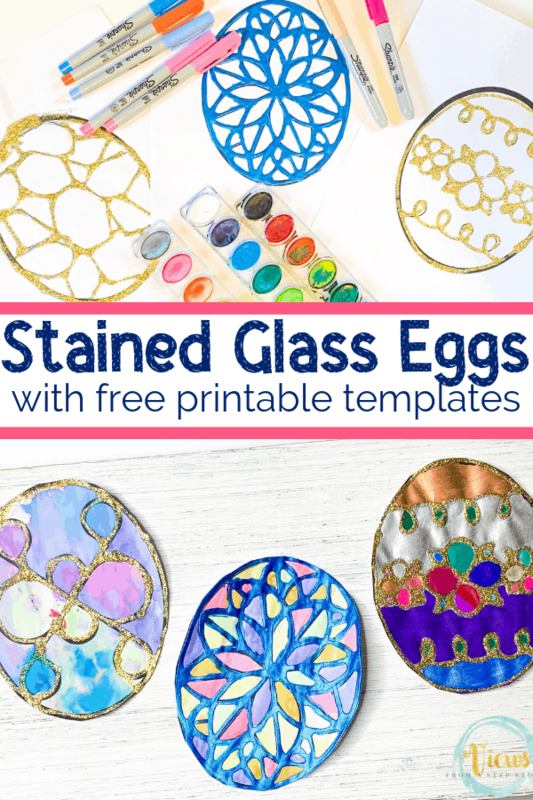 An Easter Sensory Bin Kids Will Love! 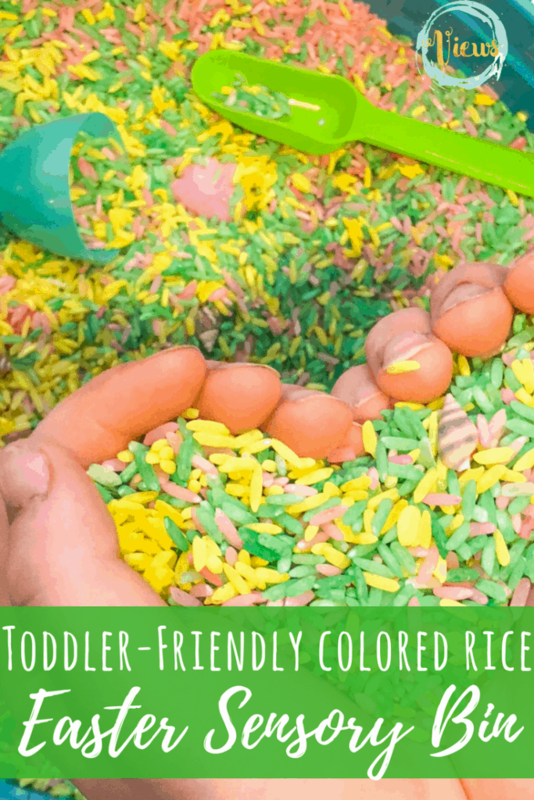 The colored rice is a favorite of my kids’! 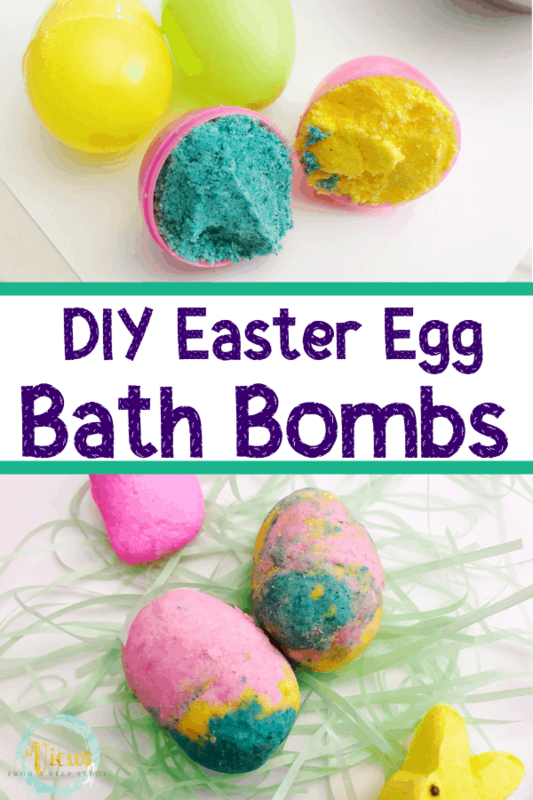 It last forever and they get a ton of use out of it. 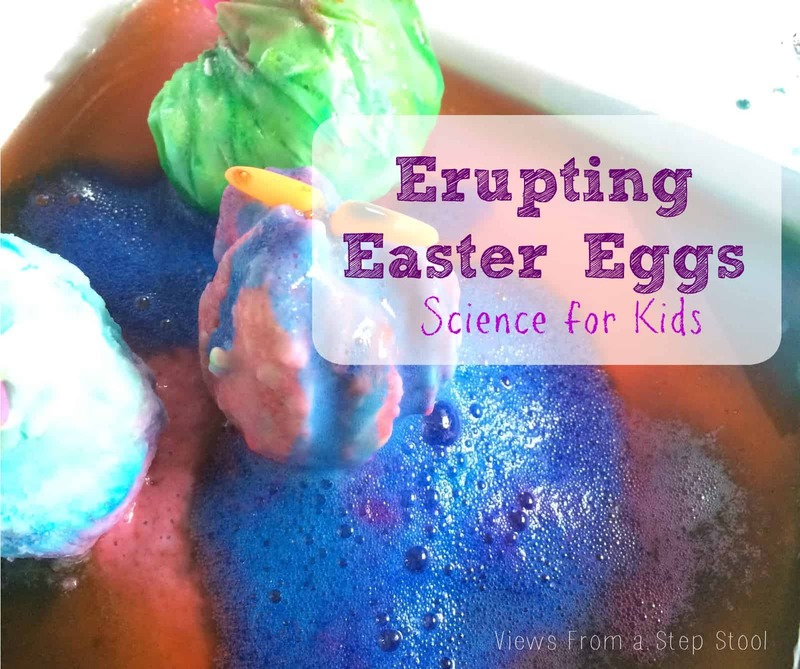 My kids especially enjoy any activity involving food coloring and color mixing! 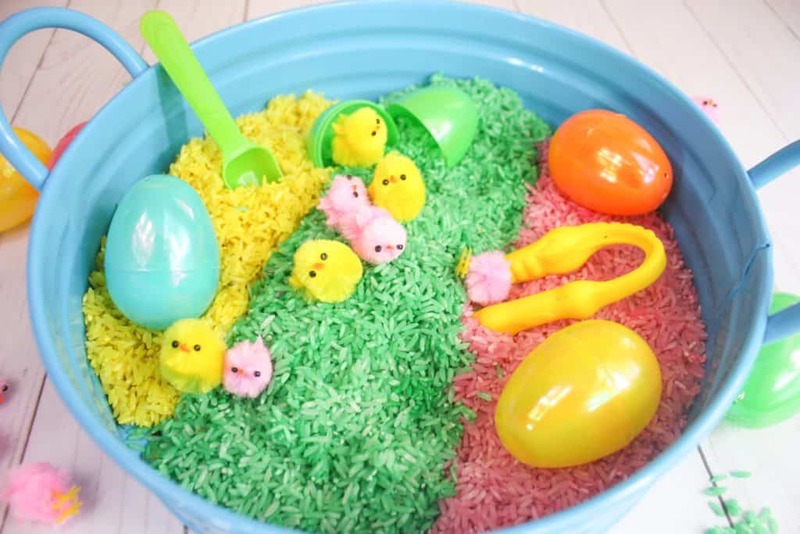 I keep a bin of various scoopers, spoons etc for our sensory bin play. 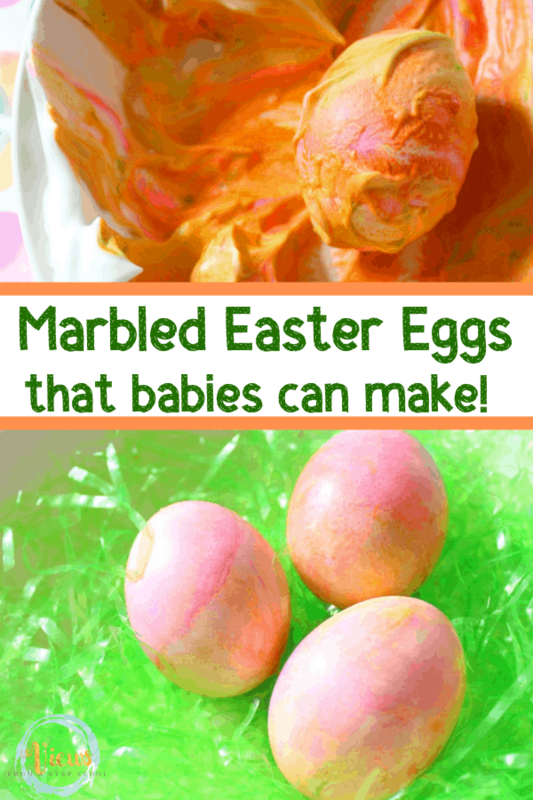 I think all toddlers love anything having to do with dumping and scooping! 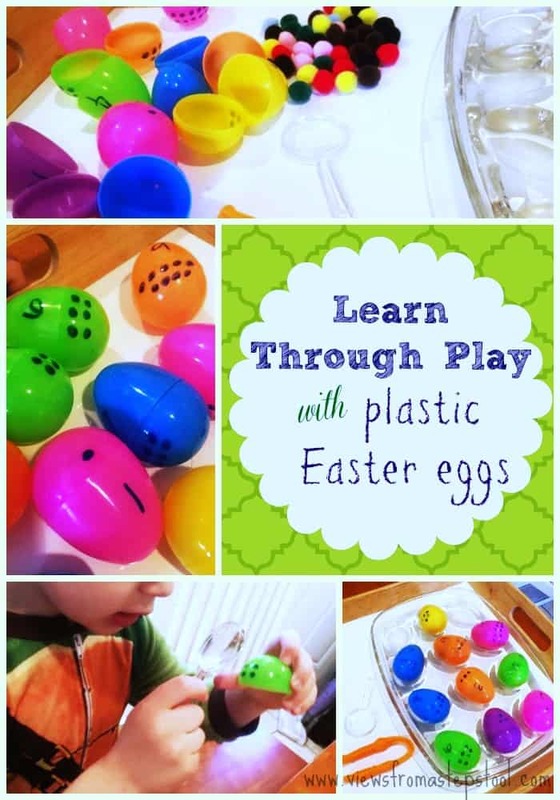 Add you contents to the bin and let children explore! 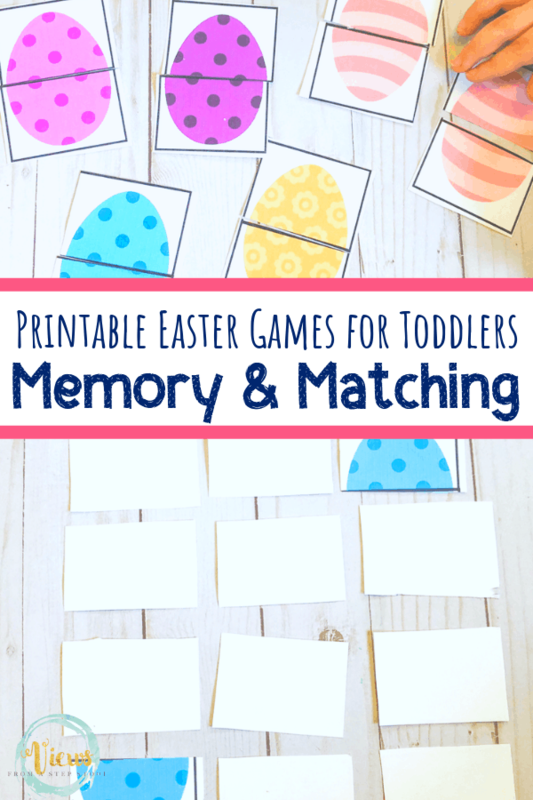 Tweezers are great tools for pre-handwriting practice! 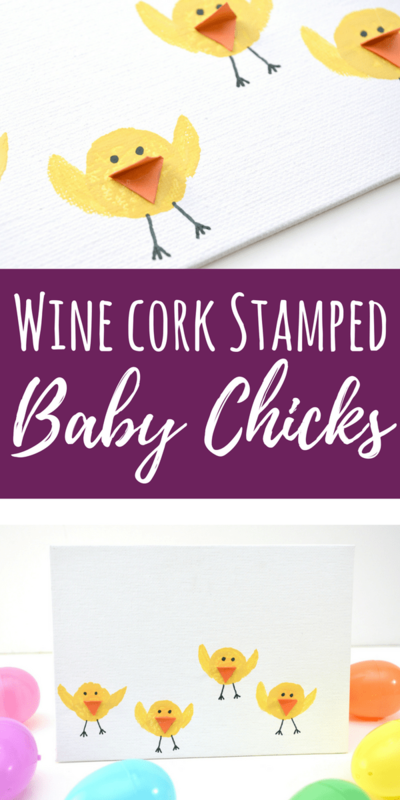 They strengthen little fingers, getting them ready to hold pencils and pens in the future. 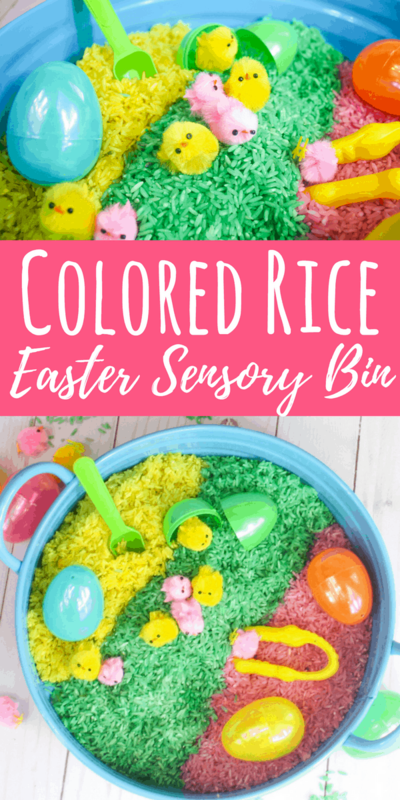 Children (and adults) learn best when all senses are engaged, and these sensory bins are the perfect tool for exactly that. 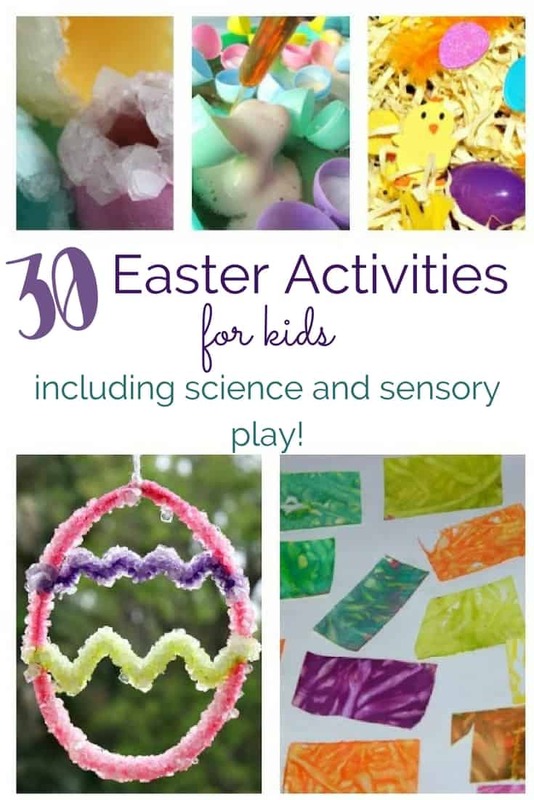 We hope you get a chance to make an Easter sensory bin too! 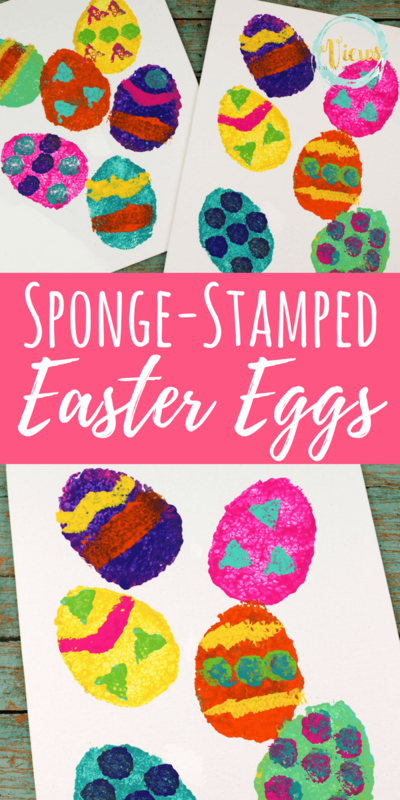 Scooping and dumping is great for little ones! 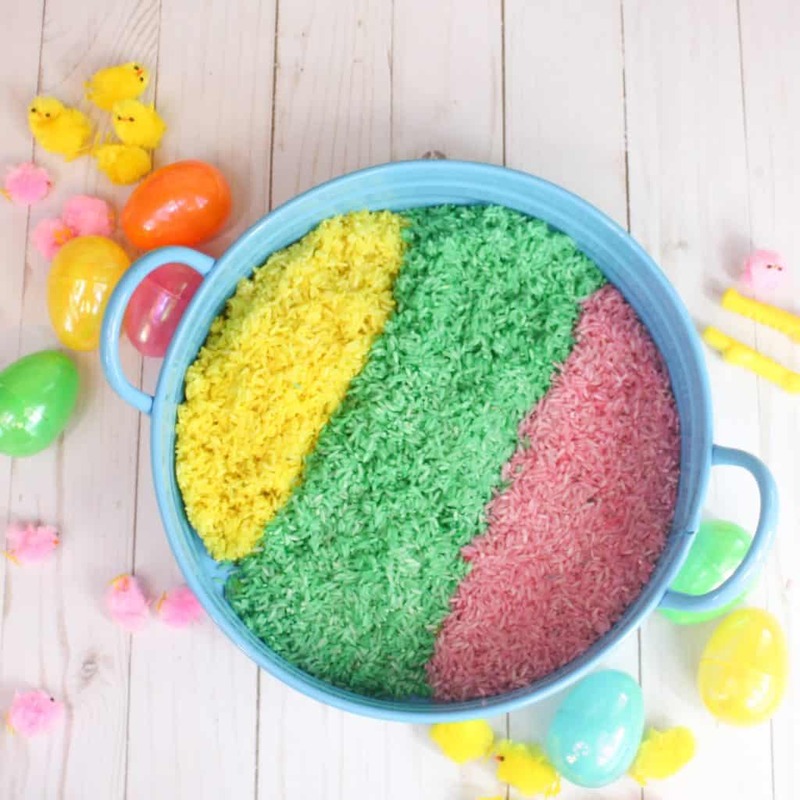 Colored rice (made with food coloring) while not tasty, is a great sensory bin filler for young ones because it is edible. 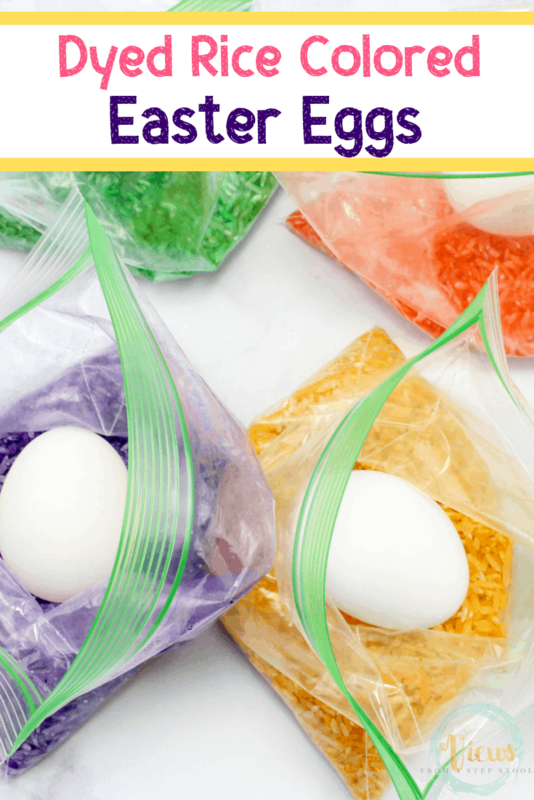 Toddlers can scoop and transfer rice to eggs or small containers. 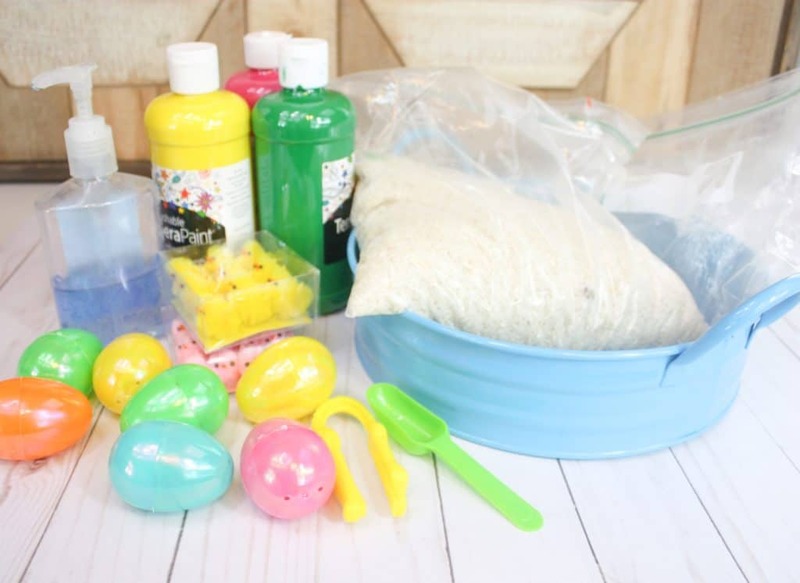 Fill the eggs with rice and make musical shakers. 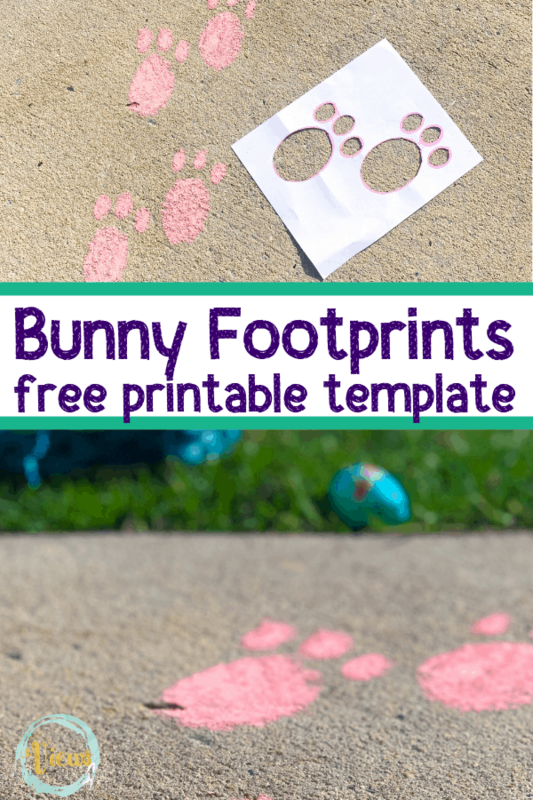 We even had an Easter parade! 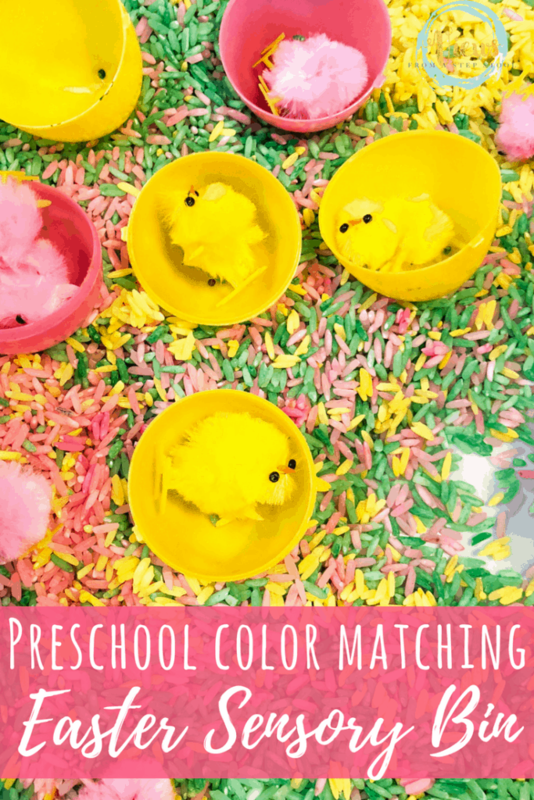 Color matching and counting are great skills for preschoolers to work on with this sensory bin. 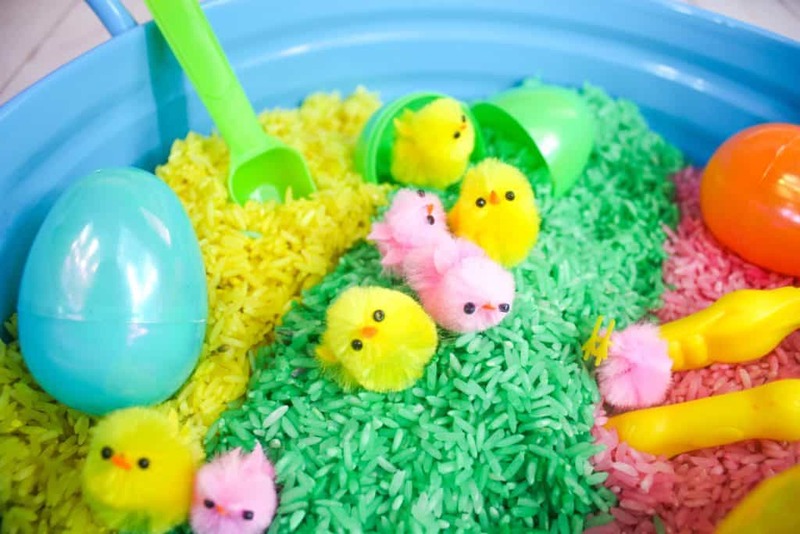 They can put the colored chicks (or pom pom ‘chicks’ into their respective eggs by matching the colors. 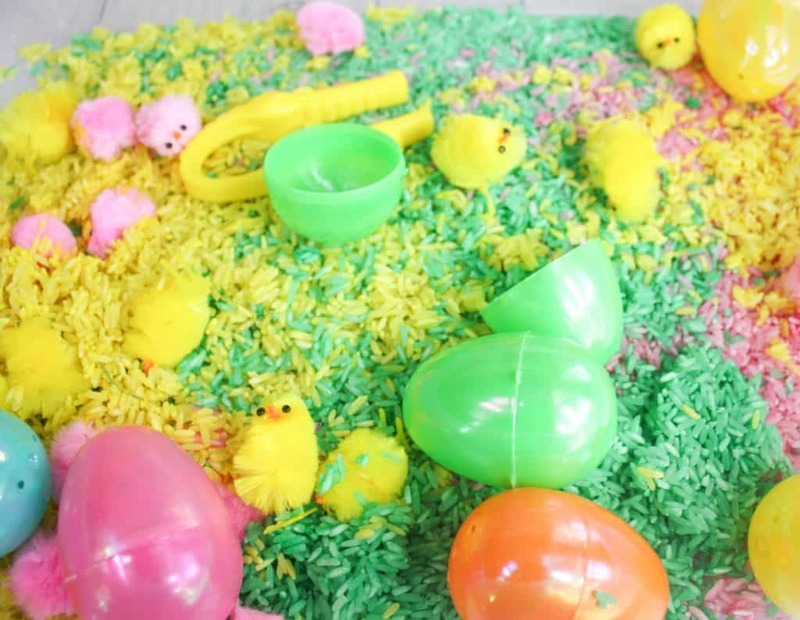 Additionally, they can count how many chicks or eggs they have as they fill them! 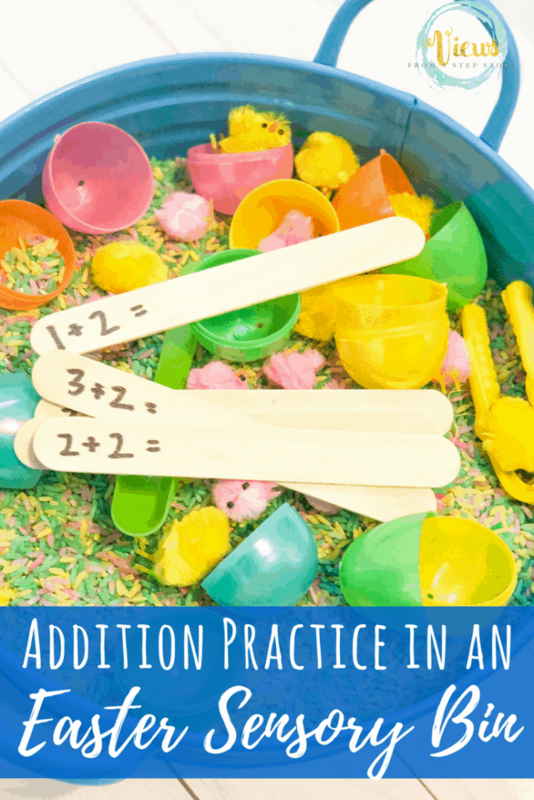 Addition and subtraction are fun to practice with sensory bin fillers! 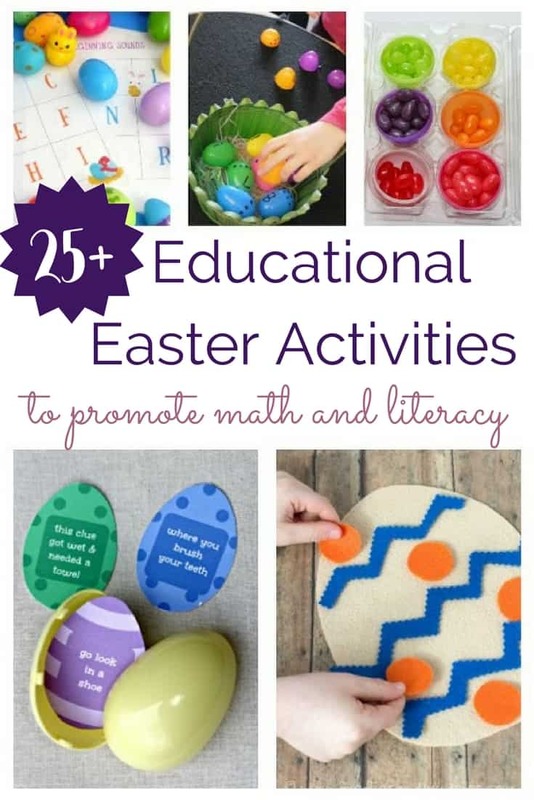 I like to put a couple of simple equations on craft sticks for the kids to solve. 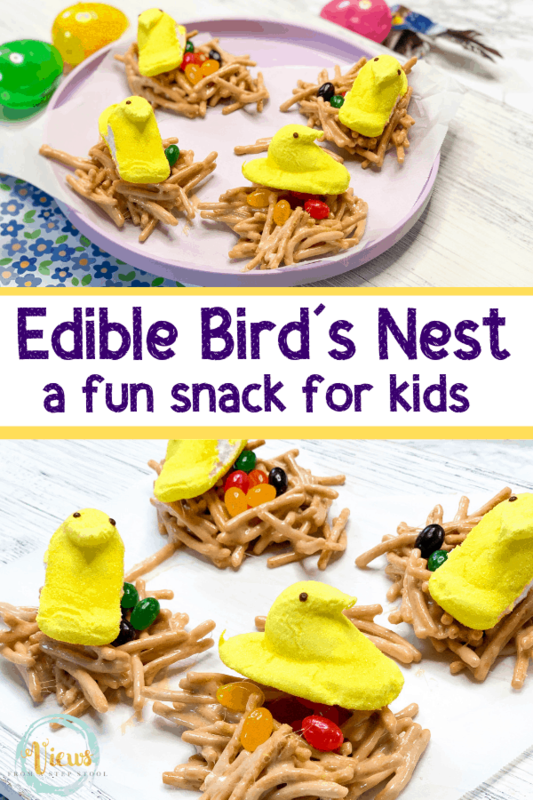 They can place the number of chicks they are adding on the stick to find the answer! 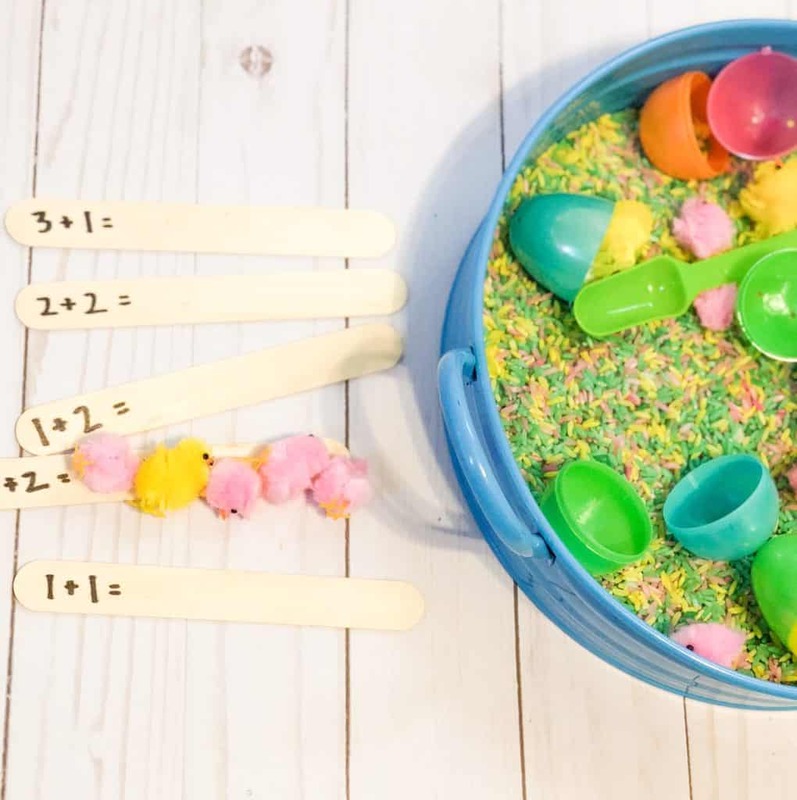 What a fun way to practice math! 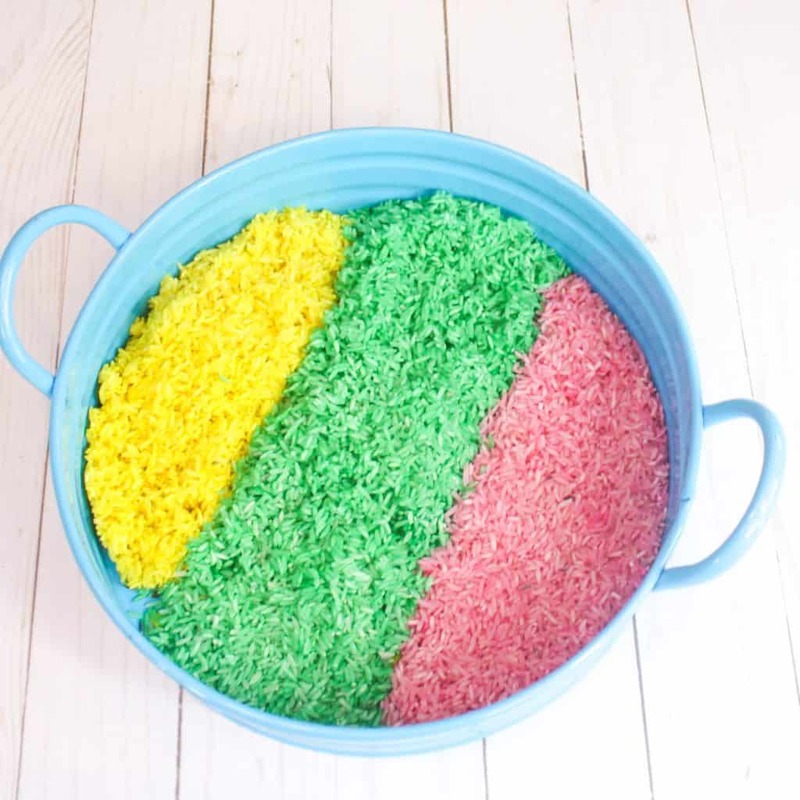 However you play, kids of multiple ages will love this colorful rice sensory bin!